AcraDyne, a subsidiary of AIMCO, offers a full line of high torque, traceable and critical bolting systems. AcraDyne’s portfolio ranges from 1 – 12,000 Nm. 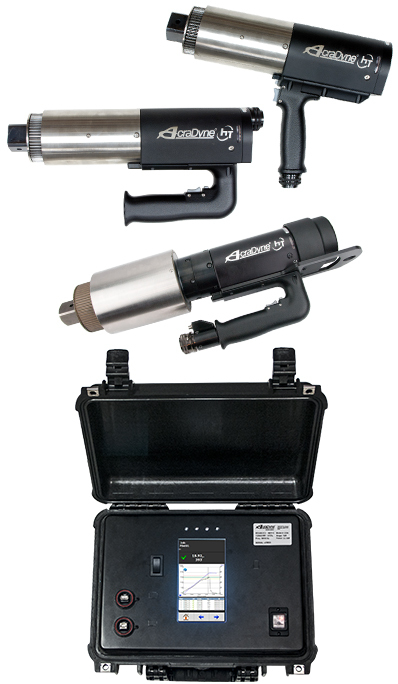 These cutting edge high torque tools are specifically designed for critical high torque bolting applications, that demand tools which deliver high torque with superior performance and durability. The faster speed, coupled with its extreme accuracy, makes this bolting system an outstanding cost effective investment. AcraDyne’s tools provide solutions for the Energy Services sector: Wind Power, Nuclear, Mining and more. AcraDyne's transducer torque control system provides consistent, reliable torque values as well as the ability to monitor rotational angle during the tightening process. When combined with AcraDyne's Controllers, customers experience a high torque critical bolting system that can handle the toughest and most important bolting jobs.